SETest is a custom test harness hardware and software developed by NTS for testing, developing and validating ZigBee Smart Energy (SE) products. ZigBee Smart Energy is the world’s leading standard for interoperable products that monitor, inform and automate the use and delivery of energy, gas and water to the home. SETest is a complete reference application emulating the various types of ZigBee Smart Energy devices. The harness automates and/or facilitates the majority of the execution of the complete certification suite for the ZigBee Smart Energy profile making it easy for our customers to achieve certification. In addition, SETest has completed qualification at the official ZigBee test events identifying it as an approved test tool for the Smart Energy standard. Based on a ZigBee Certified Ember platform, the NTS SETest test harness is designed for use by manufacturers to pre-test devices to verify they meet ZigBee Smart Energy requirements prior to submitting products for final certification. In addition, SETest test harness is also designed to help utilities pre-test devices to ensure products will meet their requirements prior to deployment. NTS SETest has been used by the overwhelming majority of ZigBee Smart Energy products that have passed the ZigBee Certified program to date for both pre-testing and official certification testing at NTS’s facilities. The new version includes many new features resulting from several years of experience and customer feedback. 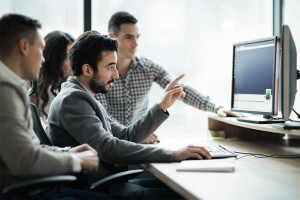 New features include the ability for customers to write their own test scripts, the ability to simulate a real time meter, improved options for debugging purposes and many more. The current version of the test harness supports ZigBee Smart Energy standard 1.0 and 1.1 with support for Smart Energy 2.0 currently in development. 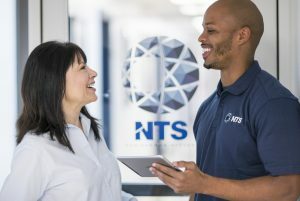 Basic and advanced training on the use of NTS’s SETest tool is available for an additional cost (including use of custom test scripts). Custom test script development is also available to allow you to validate test cases not currently covered by the ZigBee test specification (e.g., boundary cases, negative cases, etc.). Note that pre-testing with the NTS SETest Test Harness does not guarantee that your product will be certified. Actual certification testing of your product requires separate certification testing to be performed by a ZigBee Alliance authorized test lab, such as NTS. Although pre-testing with the test harness makes it more likely that your product will pass certification. Contact us today to find out how you can get an NTS test harness to help your development and test efforts.